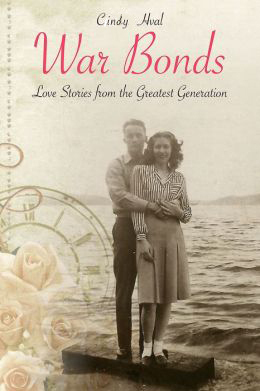 “War Bonds: Love Stories from the Greatest Generation” tells the stories of marriages and families forged during and after World War II, as the Greatest Generation became the backbone of our society. Young people have been falling in love since time began, but romance during a world war had a unique set of challenges. The uncertainty of the time led to an abundance of couples marrying quickly, after brief courtships. Yet amazingly, these couples created lifelong bonds. From blind dates to whirlwind romances to long separations, War Bonds highlights stories of couples who met or married during or shortly after WWII. Underscoring these tales are the principles of maintaining lasting love in the face of tumultuous times, as well as the daily challenges of building a life together. Each narrative begins with a World War II-era song title and concludes with a “Love Lesson” from the featured couple.Illustrated with photos from the 1940’s as well as current photographs of each couple, War Bonds offers readers a glimpse of bygone days, along with the hope, that they too can create their own lasting love stories.